Once in a while we do something which pleasantly surprises oneself and introduces us to a new dimension which we thought had never existed, today was one such day for me. On behest of my friend, Vivian I took a plunge into the world of cookery. She suggested I try out a french toast for starters, the recipe she gave me was fairly simple. Before I got started this morning I looked into few videos on youtube and came up with a slightly different version. What I ended up wasn’t great, cinnamon overdose almost killed the rest of flavors however, I successfully balanced the the sweetness part of it. Eggs, honey and milk were blend in exact proportions to give the toast a lovely taste, color turned out to be perfect, golden brown. 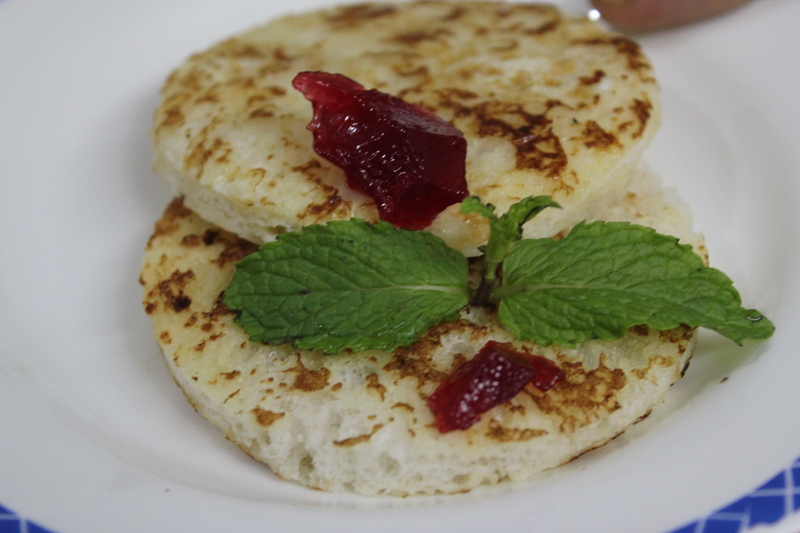 The circular shape, jam and the mint leaves added to the presentation. It wasn’t bad at all, mom liked it so did her friends who got to taste it. I’m not entirely pleased with the outcome but it’s a decent start. Watch out for this space as I shall come out with many more simple dishes in future.